If your dogs are anything like ours, any delivery to the front door is a cause for excitement and unabashed celebration! 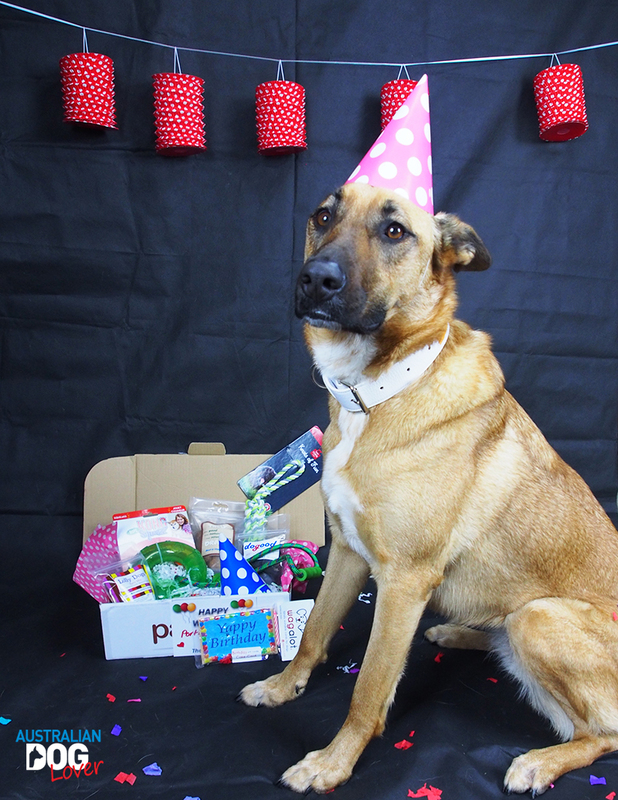 Well, it could be their regular dog food delivery or an occasional toy bonanza but we never really went that extra step in 'fur parenting', which consists in organising a dog birthday party or order a gift box to celebrate a special occasion. With our two rescue twin Malinois celebrating a combined birthday for the first time - Aramis only joined our pack in September 2015 - we thought the occasion was worthy of going that extra mile! 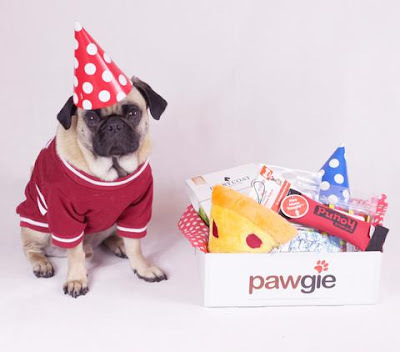 If you’re after a great surprise for your furbaby, we found that Pawgie offers a range of boxes that will suit any special occasion: from a Birthday Box or Adoptaversary Box to celebrate your pooch’s special Gotcha’ Day to a Get Well box if he/she is recovering from a rough health patch. Never enough treats to go around in your house? You would select the Pawgie Treat Box or if new toys are your dog’s main "raison d’être" you would definitely choose the Pawgie Gift Box. Regardless of your pick, all Pawgie boxes include only Australian treats made from natural ingredients, supporting other local businesses and really pawsome toys. We did mention at the time of ordering that our pack consisted of 3 large Belgian Shepherds and the company happily swapped the usual fluffy squeaky toy (a staple in special occasion boxes) to something that would survive a little longer! So what did our dogs receive in their Pawgie Birthday Box? First, we liked the care that was taken in packaging the box’s contents: from the confettis scattered on top of the items to a special birthday card with our dogs’ names and two "his" and "hers" polka-dot party hats (these looked a bit small for our Malinois), it was great fun to unwrap and discover what was hiding under the colourful paper! Aramis and Porthos sadly were solely focused on the contents, especially those of the smelly kind and they were in for a treat or two! Of course they can’t read but the completely edible “Yappy Birthday” Cake Card from Wagalot did make their day. It came complete with candle which you can place in the biscuit’s hole for the hoomans to have fun too! So Where to Start for Fun? 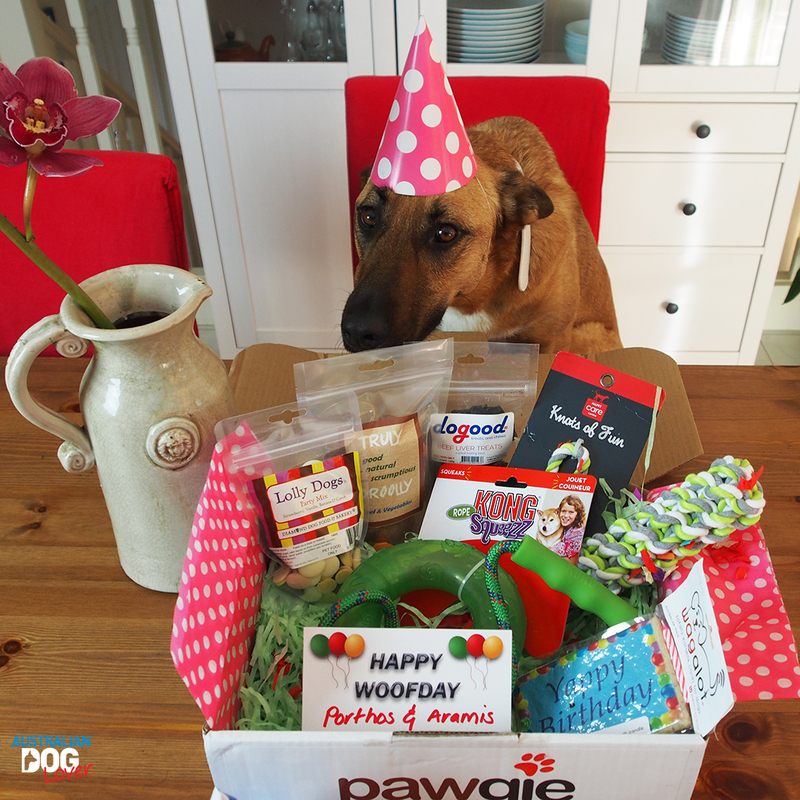 As with all Pawgie Birthday Boxes, our box also included three bags of all natural treats and two toys! One of our favourite staples was included, the Lolly Dogs Party Mix from Diamond Dog Food and Bakery. 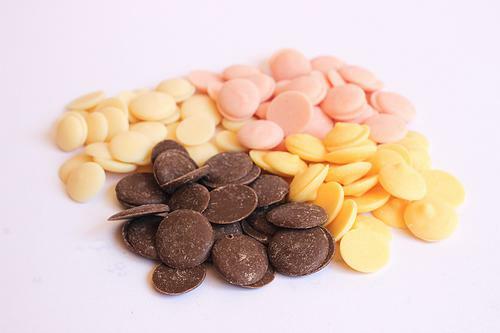 These buttons come in Strawberry & Vanilla, Banana and Carob flavours and are best kept in the fridge during the summer months. They smell lovely even to us and are always a hit with our dogs! Also included was a pack of Dogood Beef Liver Treats and their size makes them perfect for training sessions (whether used in fun games like hide and seek or a reward for learning a new trick). Finally, our birthday team is yet to sample the bone-shaped Beef and Veg Truly Drolly Biscuits (also from Diamong Dog Food). The knotted rope toy from Allpet Care Canine was “knots” of fun! As it’s relatively short (20cm) and comes with a handle, this toy will be best used to play tug with just one dog at a time. If you leave it unattended however, you may find that your dog will successfully untangle every knot as a new extra-curricular activity! Finally the choice of the Large KONG Squeezz Ring with Rope as an interactive toy was perfect for us and our dogs. Designed for durability with a recessed, protected squeaker, it can be used for both indoor and outdoor use. It is fun in tossing, tugging and retrieving games and for those lucky enough to have a pool or creek nearby, it also floats and it will be fantastic during those warmer months! 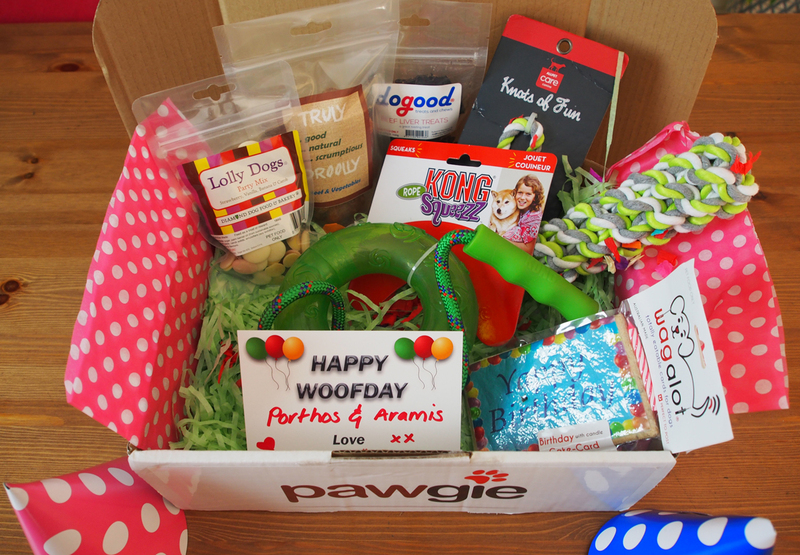 Overwhelmingly positive as we found the Pawgie Birthday Box offered a great mix of instant treats which our dogs enjoyed on their special day whilst the toys selected are high-quality and safe and should deliver months of fun. We also felt that this box delivered “value for money” as it does not contain cheap, nasty imported products and is clearly focused on delivering natural treats to our canine companions. Would we consider buying one to celebrate a special occasion like a Birthday or Christmas? The answer is a resounding yes and those who know us best say that we are “a hard sell” as we come across so many dog products and services!